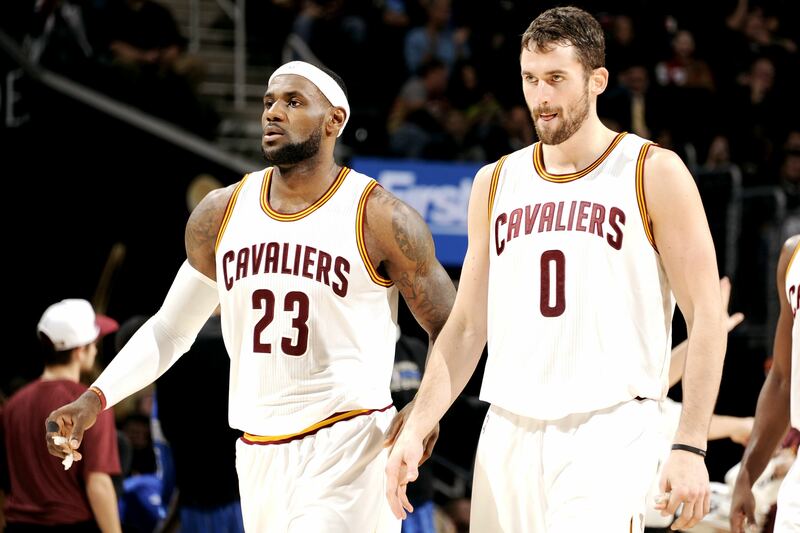 On Tuesday night LeBron James and Kevin Love will stand before the Cleveland faithful, awaiting their rings during their final championship celebration prior to the start of the 2016-17 season. While the kinks of LeBron and Love’s relationship seem to have mostly been worked out, LeBron was still not afraid to let his teammate know how ridiculous an old photo of him looked when given the chance to do so. Slam Magazine tweeted this photo of Kevin Love from 10 years ago, when he attended Lake Oswega High School in Oregon. While I’m sure the 18 year old version of Love thought he looked pretty cool, present-day James disagreed, and let him know about it through Twitter. Of course, King James had the luxury of a coming into the NBA with a $90 million shoe deal, but there is still no excuse for Love to allow himself to rock such awful sneakers. Kevin Love simply replied with a “Help me” request, but as usual the internet took the joke and ran with it. I am sure the now NBA champion Kevin Love will be rocking much cleaner kicks this Tuesday, when the Cleveland Cavaliers open up their title defense against the New York Knicks.